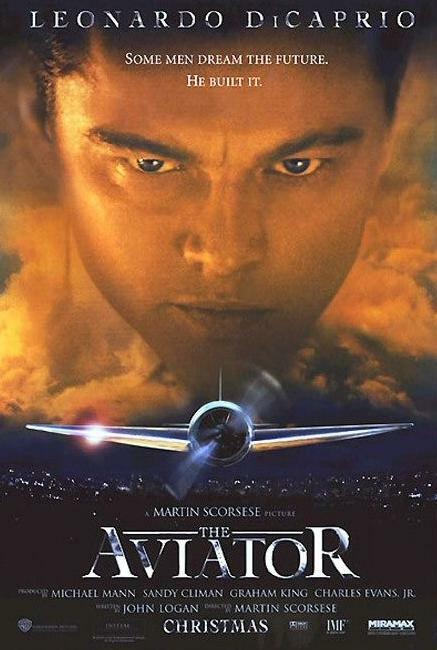 I watched The Aviator (2004) for the first time around two years ago, when I had my infatuation with everything Golden Age of Hollywood. Then I watched it again last year andd fell in love with it, mainly because of the brilliant performance by Leonardo DiCaprio. Everytime I watch this it's like watching a new movie...it's like something has changed, but it hasn't really changed at all. I guess the more mature I get, the more I understand this movie. Well, this movie is a masterpiece. I mean, it is directed by Martin Scorsese, so what would you expect? Everything about this movie is perfect, it's like Howard Hughes himself might have made it. The performances by Leo and Cate Blanchett are the real shiners here. They both take their roles and transform them into something of their own, while being true to the people they are playing. This is what you call cinema: mental problems, film-making, flying, everything.